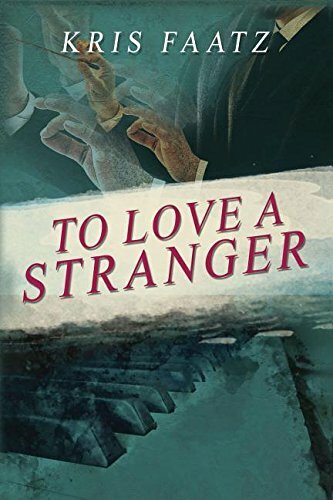 A thwarted love story that’s also a coming-of-age tale and a meditation looking back on the AIDS epidemic in the years before the virus was well-understood, Kris Faatz’s To Love a Stranger tells the story of Sam, a novice conductor hired to rescue the Richmond Symphony Orchestra from financial ruin. Getting over a doomed love affair with Gil, an older man who is dying of HIV in Philadelphia, cruelly rejected by his domineering father because of his sexuality, Sam meets Jeannette, hiding from her own past growing up in rural poverty. The two begin a cataclysmic love affair, a relationship predicated upon not who they are, but who they desperately wish they weren’t. As the book progresses, and the relationship advances, Sam and Jeannette each move closer to reckoning with the most painful aspects of their pasts, even as their histories threaten to destroy the life they are trying to build in the present. Artfully plotted, elegant and sharply observed, the book has the effect of holding you in proximity to two deeply flawed characters as they advance grudgingly and by degrees toward acceptance of who they are and where they come from. The novel has the grace to allow its characters to come to terms with what they’re trying to escape, and it accomplishes this without sentimentality. I met Faatz at the Kenyon Review Writers Workshops, where she was a workshop participant one year and a Teaching Fellow the following year, when her book had just come out. We conducted this interview by email. Tom Andes: I wondered if you could start by talking about how the book came together. I understand it took you 10 years to write. What was the process like for you, seeing the book though from idea to finished novel? Kris Faatz: To Love A Stranger had its start in the fall of 2007. At the time, I had never done any serious fiction writing. I loved to write stories as a child, but by the time I got to high school and college, I changed gears. My undergrad degrees were in engineering and music, and I went ahead with music for my master’s. It was almost two years before I had a complete first draft, and that draft was a disaster. I knew very little about the craft in general, and nothing at all about the specific process of writing novels. I didn’t know how to write scenes that worked, or how to structure a large-scale piece. Still, I kept blundering along with it, at the same time experimenting with short fiction, trying to figure out how to write anything that worked even a little. There was so much I wanted to put on the page, and my novel had such urgency to it – at least in my head – but I couldn’t figure out how to get the story across. About four years into the process, I went to the Kenyon Review Writers Workshops. That was where I first got a solid, no-nonsense grounding in the craft. The following year, I took another complete draft of the book to Kenyon. There, I was basically told to scrap it and start over: but, critically, I was told where and how to start. By then, I had lived with my characters for a long time, and knew them as well as I knew most real people in my life. When I started over, the story began to flow in a way it never had before. I didn’t know exactly what it would do in the long run, but I could get from one page, to the next, to the next. It wasn’t always easy, but the process of re-discovering the story was one of great joy. The story ended up being much simpler than what I’d originally had in mind. I’d pictured a multi-generational, complex family saga, and it ended up as a relatively straightforward piece about the relationship between two people, and the ways their secrets and past experiences threaten the future they want to build together. Some of the other stuff I cut at various times could well end up as its own book. Meanwhile, though, what I’d mostly say about having Stranger out in the world is that it’s an enormous relief. In spite of all the beatings, I couldn’t let the project go until I’d seen it all the way through to the end. I’m so thankful we finally got there. TA: I’m intrigued by the era you’re writing about in American history: the late 1980s, when AIDS was ravaging the gay community, yet the virus wasn’t well understood. In some respects, your book might qualify as historical fiction. What challenges did that time period present for you? The biggest challenge for me was that I had no real memory of how people thought and felt, during that time, about AIDS and the gay community. I was in grade school during the late ‘80s, and I remember our teachers talking to us about how you couldn’t get AIDS from hugging someone, you couldn’t get AIDS from shaking their hand. Looking back, I understand that our teachers were counteracting the widespread societal fear as best they could. We were young kids, though, and I think the fear was pretty remote to us. It certainly was to me. The gay community, as best I remember, was never mentioned. Certainly I never heard the word “gay” to know what it meant. Research helped me get a grounding in what the experience of that time would have been like for people of my characters’ ages, adults in their mid to late 20s. I read articles about the symptoms and treatment of AIDS, and more specifically, about the experiences these patients had. One article I read was about a woman who made it her responsibility to visit and care for AIDS patients in the hospital, after their families had abandoned them. That became a real touchstone for me. I thought about the shattering loneliness those patients must have experienced, and the stigma surrounding them, and wanted to bring the human experience of their love and loss to the page. TA: Was it liberating to write in a different time than our own? KF: I liked having less technology to deal with. (Thank goodness no one had to have a cell phone, or use email.) I liked the sense that people had to communicate more in person, and that, in some ways, words mattered and were used a bit more deliberately than we often see now. I also liked the fact that, because there was less interconnectedness between everyone, everywhere, it was easy to settle into and use a character’s individuality and isolation. In general, I felt I was writing in a time that was simultaneously simpler, in terms of the overall pace of life, and more complex, in terms of the possible barriers and conflicts between people. TA: One of the things I love about the book is how beautifully rendered Sam’s and Jeannette’s voices are. I think people sometimes feel trepidation about writing outside their demographic, as no one want to be guilty of appropriation—yet in our moment, it seems vitally important to try to live in someone else’s skin. Did you feel any trepidation about writing Sam? KF: I’m not sure I was afraid to write in Sam’s voice, or in any case not because I was worried about appropriation – though that’s a valid concern – but I did, for a long time, have a lot of trouble writing him. I found it hard to share his story, not necessarily because I couldn’t relate to his experience, but because it felt too personal, as if I was invading another real person’s thoughts and feelings. At the same time, I felt that I had to tell his story, because I knew on a gut level that it was important. In a lot of my early work on the book, I could get into Sam’s mind, but I couldn’t get myself to put what I knew on the page. The work had this very detached quality. Readers kept telling me that they felt they just didn’t know Sam, and it drove me nuts. I kept thinking, “How could you not know him?” because I knew him, but I wasn’t translating that in a way that people could connect with. One of the first professors I worked with helped me to change things. I was really struggling, so he sent me a list of questions that he wanted me to answer in Sam’s first-person voice. I hadn’t tried writing Sam in first person before (or ever wanted to), and some of the questions were so personal that I thought the endeavor might make me spontaneously combust with embarrassment. When I sat down to give it a shot, though, a funny thing happened: I felt like Sam took over, and he was the one doing the work. From the first word, the voice that came out on the page was absolutely his. He made snide comments about the questions (“I hope you realize I won’t have a shred of dignity left when this is over”) and joked around, but at the same time, he answered them in depth and with total seriousness. My fingers were just doing the typing, and they could barely keep up with the flow of words. I’ve never had quite the same experience at any other time. I think that exercise got past my internal barrier. If Sam himself could talk about these things, so could I. Maybe he had given me his permission. And though I didn’t end up using his first-person voice, the depth of knowledge I had of him stayed with me, and stayed in the subsequent work I did on the book. TA: As you mention previously, you’re also a musician, and one of the things I loved about this book was its attention to the daily lives of working musicians. Could you talk about how your career as a musician informed the writing of this book? KF: My work did have a huge influence on Stranger; I don’t think the book could have existed if my only experience of the music world had been as an outsider. I started getting an insider’s view of the lives of working classical musicians as a young student. My piano teacher often played chamber music concerts and hired me to be his page-turner, so I got to see the dynamic between the performers, and all the elements that went into putting concerts together. I remember being continually surprised by the way these musicians, who were so serene and dignified onstage, joked around in rehearsal, talked about whatever, laughed with – and sometimes at – each other. They were real people, but they also had these amazing skills and belonged to this beautiful, rarified world; at least that was how I saw it at age eleven or twelve. In college and grad school, I got to be part of bigger performances involving full orchestra and chorus. That’s where you see a specific kind of magic, when you have all these people, all these individuals, pulling together to create a single work of art. When you’re onstage, in concert, with the white light on you, time stops. All you have is the present moment and the sound that fills the space. The music itself is a living thing, greater than any one person onstage, greater than the sum of all the instrumental and vocal parts. It’s a huge and radiant force that carries everyone along. With Stranger, I wanted to translate the “heard” experience of music to the page. A lot of people have never gotten an up-close, live experience of a classical concert, and I wanted to show how compelling and vibrant the music can be. I also wanted, for sure, to bring readers into the backstage world and show them what musicians’ lives look like. There’s plenty of grunt work and frustration involved, but the payoffs can be tremendous. One last piece of the inspiration for Stranger came from a conductor I worked with in grad school. He would tell us, when we were working on pieces like Verdi’s Requiem or Mozart’s C minor Mass, “If everyone in the world could get together and listen to this piece, there would be no more war.” Idealistic, sure, but he believed absolutely in music’s ability to heal and to bring people together. He was right: you don’t have time for anger, depression, hostility, whatever, when you’re involved in and absorbing something so much bigger than yourself. In Stranger, I wanted to share that aspect of music as well. TA: Though the world seems to have changed, and we ostensibly live in a more tolerant society than we did in the late 80s, as current events suggest, we have a way to go. While your book isn’t explicitly “political,” what—if anything—do you feel it has to say about our moment? KF: Without getting too soapbox-ish, I think we writers have a great gift – and perhaps a great responsibility – in our power to bring people together by showing common experience. I wanted readers to connect with my characters as people, and understand what they lived through, in hopes of building bridges. We need to be aware of one another’s stories. We need to be conscious of one another’s struggles. Most of all, we have to remember that we are all people, and that somewhere, there’s a commonality of experience. When I started writing Stranger, I thought it would be more of a retrospective on how society used to be; I didn’t expect it still to be so relevant, and I’m sorry it is. Nevertheless, I felt great urgency to write Sam’s story, in particular, because I think it’s still far too easy to look at someone else as “other” and dismiss or judge them out of hand. I’m often guilty of it. I thought if I could put Sam’s story on the page, if I could make him a real and living person, if I could help readers connect with him and see where he was coming from, it might do a little bit of good in the world. I think societal change does happen one person at a time. Each of us has to make the decision to change something within ourselves. A couple of readers have told me specifically that Stranger made a difference for them, and I’m honored and grateful to hear this; it means I’ve done my job. TA: I wondered if you could talk about your experience on Blue Moon Publishers, which is an independent literary press, and how you navigated the world of commercial and literary presses. KF: When I started working on Stranger, the paradigm for novel publishing was still very much that you had to get an agent, and a contract with one of the Big Five. After I had a full draft of what ultimately became Stranger, I started putting out queries and looking for an agent. It was a tough, discouraging process full of rejection (I thought of it as jumping into the piranha tank). Somewhere along the line, I started learning more about small presses and independent presses, which I think we’d consider more “literary.” Writers who had worked with small and indie presses told me that they tended to be loyal their writers, that they worked personally with you, and that while they couldn’t offer advances, they took on projects they believed in and kept those books in print. I liked the sound of that, especially for this first project, which was very much a labor of love. I also realized that I felt more comfortable keeping this particular book in my own hands, rather than handing it over to an agent to find a home for (or not). Blue Moon has done an outstanding job with Stranger. My editor, my publicist, and the manager of the press have all been accessible and extremely helpful, and the work has been a partnership from the beginning. One example of that was the cover design, in which the design team took my ideas and worked with them through various iterations until they sent me a version that made me cry. As you might guess, that was the cover we used. Bringing a first novel into print can be a scary experience for a writer, as you lay so much of yourself on the line. I’ve been very grateful to have such strong support from my publisher.